We look at the biggest challenges facing CFOs from SMEs to multinationals – and the four approaches needed to overcome them. 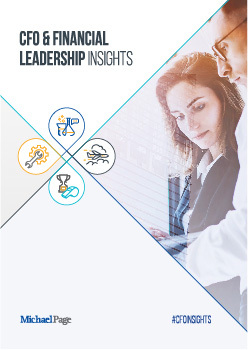 Our interviews with Chief Financial Officers from diverse sectors and regions showed four distinct approaches to solving these issues, which can be broadly defined as the Coach, the Pilot, the Scientist and the Engineer. Click below to explore the definitions of each and their added value to the CFO's decision-making process. Click below to explore each of the challenges and the solutions proposed by our interviewees. For the CFO & Financial Leadership Insights Michael Page personally interviewed an international panel of CFOs from regional and global companies between December 2017 and January 2018 concerning the human challenges they face, and how they have dealt with them. We analysed theoretical and practical literature on the role of the CFO, combining the information with our experience at board level. From the interviews conducted and material analysed as part of the study, we derived four types of CFOs in the financial world, based on their need to adapt to different functions of the role at specific points in the course of their working day.